Explore the life and career of Leonardo da Vinci from his complex beginnings to his achievements in art, engineering, flight, hydraulics, music, light and more when Da Vinci: The Exhibition opens in the Discovery Pyramid on May 27. Developed by Aurea Exhibitions and produced by Imagine Exhibitions, Inc., the exhibit is a hands-on examination of da Vinci’s life, research and art featuring more than 60 fully-built, life-size inventions, more than 20 fine art studies and dozens of stunning displays. The artist’s intricate and extraordinary early concepts are spotlighted, including his design for the helicopter, tank, SCUBA, crane, clock, submarine and his plan for a modern city. Each invention featured in the exhibit was handcrafted using a modern translation of da Vinci’s unique mirrored writing style in an ancient Florentine dialect. Trained artisans used these translations to construct full-scale models and bring the master’s two-dimensional plans to life. In addition to da Vinci’s role as an inventor, the exhibition investigates a collection of his most renowned paintings, including some controversial works traditionally attributed to him, but not yet authenticated. Guests will have the opportunity to thoroughly study the artistic mastery behind such works as “Mona Lisa,” “The Last Supper,” “Portrait of a Young Man,” “Virgin of the Rocks,” “St. John the Baptist,” and more. In addition to his lifelong devotion to the sciences and fascination with nature, da Vinci also extensively explored the world of anatomy. Da Vinci: The Exhibition’s in-depth and enlightening explanations of his famous studies such as the golden ratio, and “Vitruvian Man” are complemented by enlarged examples of the artist’s sketches and notes made during his controversial research on the human body. Come join us to explore the entire exhibit and learn all about the original Renaissance man starting May 27! Plan Your Escape for Festive Fun at Moody Gardens! Moody Gardens has the ideal holiday adventure for you and your family. There is so much to do, you make a weekend of it and make the most of your vacation time with friends and family. Don’t know where to start? We have taken the livery of creating a sample itinerary to ensure you don’t miss a thing! Located at the Moody Gardens Hotel, this restaurant features a wide variety of breakfast options from tasty omelets to a sweet assortment of pastries. The lush greenery and vibrant colors make dining at the café like a festive outdoor picnic. Check out the menu here. Strike a pose at the beautiful Poinsettia Tree in the Visitor Center Garden Lobby and share your photo with us on the Moody Gardens Facebook page. Immerse yourself in our 10-story glass pyramid that is home to more than 1,000 species of plants and animals. You will experience rainforest life from around the world and encounter free-roaming animals such as, monkeys and tropical birds. Explore the only ice attraction on the Gulf Coast as you take an underwater journey from the shores of Galveston Island through the Gulf of Mexico to arrive at the ultimate Caribbean Christmas destination. Walk through a 28,000 square foot exhibit area set at a chilly temperature of nine degrees and encounter towering aquatic sculptures made completely of ice! 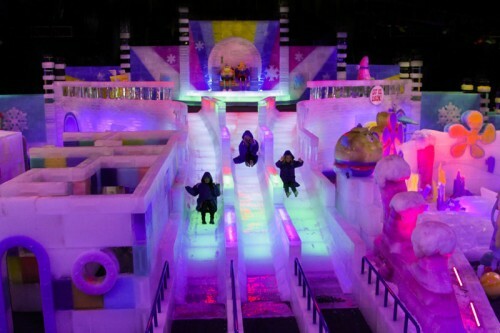 There is even an opportunity to enjoy some festive holiday spirits inside of ICE LAND at Shivers Ice Bar. Partake in a festive holiday buffet which includes Pecan Crusted Chicken, Parmesan Potatoes, sautéed vegetables and more! Take home a reminder of your Moody Gardens experience by checking out an array of holiday ornaments, animal plush toys, unique jewelry sets and more. Escape to a world of revitalizing fragrances and botanical oils as you are treated with a nourishing facial or a Swedish massage. Make your holidays merry by selecting one of the various holiday packages being offered for the season. More information. Dive into adventure! On this wild and silly deep-sea submarine voyage, YOU choose the destination and YOU interact with your hapless captain — Patrick Star! Plunge into a world of immersive 3D media, a torrent of special effects and a nonstop whirlwind of surprises! With an improvised, real time interaction with Patrick Star, and varying destinations, your adventure is never the same twice. Experience the latest 3D technology with a twist! Feel the rumble in your seat or snow fall into your lap as you join Rudolph, Santa and their misfit toy friends on their thrilling journey to save Christmas! Admire breathtaking property views of the Moody Gardens Pyramids or a beautiful sunset over Galveston Bay. Savor premium cocktails at one of the best views of holiday lights around. Enjoy a one-of-a-kind Holiday show that includes amazing acrobats and aerialists, mesmerizing illusions, hilarious comedy and much more. All of this coupled with a superb Holiday Buffet Dinner prepared by renowned Moody Gardens Executive Chef Felipe Gonzalez. Click here for holiday hotel packages! Admission also includes a ticket to the Festival of Lights. Take a stroll through the largest light attraction on the Gulf Coast. This one-mile trail features over 100 lighting displays such as, Santa Claus, various animals and even a narrated nativity scene! You can also glide on over to the area’s only outdoor skating rink as it is included in the Festival of Lights admission. Get your day started by grabbing a quick breakfast with a delicious brew at the Moody Gardens Hotel coffee shop. Take advantage of the sweet pastries and free hotel wifi. Take a swing on the lush greens of one of the top ranked golf courses in Texas. 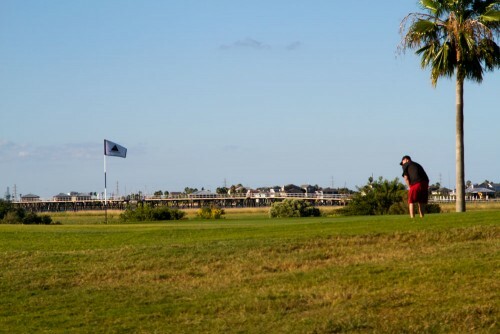 Enjoy spectacular views of beautiful palm trees and Galveston Bay. Savor great food and a great bargain while taking in the lush tropical scenery of the Moody Gardens Golf Course and Offatts Bayou. Visit four distinct ocean environments in the infamous blue pyramid that houses seals, sharks, penguins and thousands of tropical fish. Satisfy your inner thrill-seeker as you soar 30 feet above Moody Gardens’ Palm Beach. Relish in the awesome property views as well as city glimpses from Offatts Bayou! Immerse yourself into one of the world’s most beloved cities. Discover why this tiny piece of land is sacred to three major religions through the stories of Jewish, Christian and Muslim families who call Jerusalem home. Shearn’s Seafood and Prime Steaks is the premier destination for fine dining in Galveston. 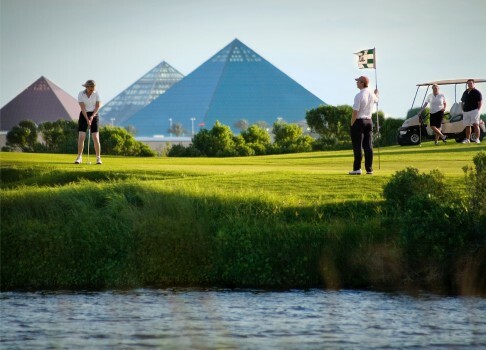 Delight in floor-to-ceiling views of the Galveston Bay and also amazing views of the Moody Gardens’ Pyramids. Relax on a beautiful nightly cruise through Offatts Bayou on the Moody Gardens’ 1800s paddlewheel boat. Overlooking the deck you will view a festive panorama of Christmas lights and displays from the 15th Annual Festival of Lights trail! Posted on December 20, 2016 Author Moody GardensCategories 4-D Special FX Theater, Aquarium Pyramid, Discovery Museum, Discovery Pyramid, Events, Festival of Lights, General, Holidays, ICE LAND, MG 3D Theater, MG Hotel, Rainforest Pyramid, Spa & Convention Center, SpongeBob SquarePantsLeave a comment on Plan Your Holiday Itinerary! Celebrate Mother’s Day Weekend at Moody Gardens! 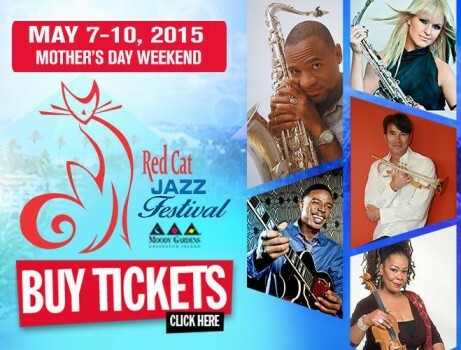 Red Cat Jazz Preservation Society, Inc. presents the 5th annual Red Cat Jazz Festival at the Moody Gardens Hotel! There will be four days of non-stop live jazz concerts featuring a variety of local and international jazz artists. Invited guests include Grammy winner Kirk Whalum, Ronnie Laws, Rick Braun, Norman Brown, Mindi Abair, Peter White, Hiroshima, Jazz in Pink, Mike Phillips and a host of others. Presented by Moody Gardens® and Galveston Island Nature Tourism Council, Birding 101 is a series of free classes designed to educate and excite people about the tremendous variety of bird life routinely seen around Galveston Island. Classes are from 9:00 a.m. to 11:00 a.m. and meet at the Aquarium Pyramid lobby. Representatives from Titleist, Callaway and Ping will be at the Driving Range with all the latest technologies for you to try out! If you have been thinking about getting new clubs, or just curious about the new products available, this day is for you! For more information, contact PGA Professional, Rick Christ, at (409) 683-1201 or rchrist@moodygardens.org. Treat mom to one of our special Mother’s Day Buffets this Sunday. The Garden Restaurant will be serving a wide array of fruits, fresh greens, and scrumptious entrées like carved prime rib and hand-sliced Texas rope sausage from 11 a.m. to 4 p.m. A special dessert spread of cakes, cookies and pies will also be included. Buffet prices are $35.95 for adults, $25.95 for seniors, $15.95 for children ages 5-12 and free for children 4 and under. For the full menu, CLICK HERE. 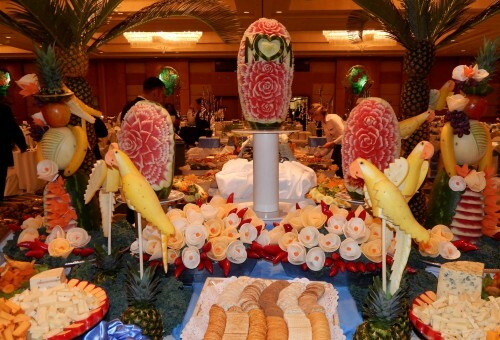 The Moody Gardens Hotel is also hosting their decadent Mother’s Day Buffet! Enjoy complimentary Bloody Marys and Mimosas as well as smoked prime rib, carved yucatan grouper, herb roasted chicken and more! Prices for the Mother’s Day Buffet are $52.95 for adults, $42.95 for seniors, $24.95 for children 4-12, and children three and under are free. Seating times for the Mother’s Day Buffet are available every half hour from 11 a.m. to 3 p.m. For Buffet reservations call 409-683-4466. For the full menu, CLICK HERE. Moms play FREE at the Moody Gardens Golf Course on Mother’s Day (Sunday, May 10) with a paid accompanying round! Limit one free green/cart fee round per paid green/cart fee. Call 409-683-4653 and mention this post to make a tee time. Be sure to visit Discover the Ice Age in the Discovery Pyramid before it closes its doors on May 10! 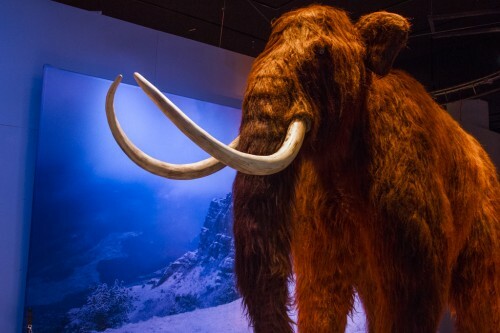 This is an exciting and educational exhibition that invites you to travel back in time to discover a frigid world, covered in ice and occupied by mammoths, saber-toothed cats, bears, gigantic birds, cave people and more. 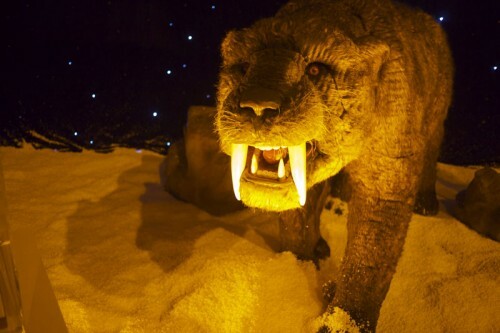 The exhibit features life-sized animatronic animals, real fossils, some of which can be touched by our guests, and cast skeletons set within elaborate Ice Age scenery. 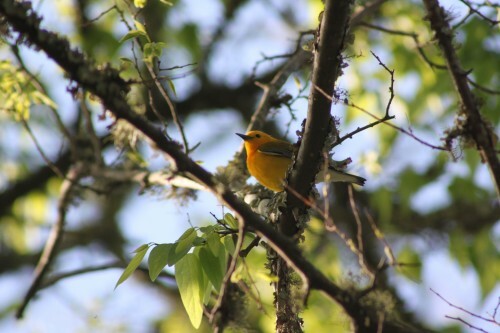 Posted on May 8, 2015 Author Moody GardensCategories Animals, Birding, Conservation, Discovery Museum, Discovery Pyramid, Events, General, Golf Course, Holidays, Hotel, MG Hotel, UncategorizedTags Birding, Galveston Events, Galveston Golf, Galveston Island Events, Golf, Jazz, Jazz Festival, Mom, Mother's DayLeave a comment on Celebrate Mother’s Day Weekend at Moody Gardens! With the opening of ICE LAND: Ice Sculptures with SpongeBob SquarePants and the return of the annual Festival of Lights, Moody Gardens has officially become the coolest holiday destination in the Southwest. With so many attractions to enjoy, the Moody Gardens Value Passes have been a popular choice among guests. For just $59.95, visitors get entry into ICE LAND, Festival of Lights, Aquarium Pyramid, Rainforest Pyramid, Discovery Museum, MG 3D Theater, 4D Special FX Theater and Colonel Paddlewheel Boat. Those wanting to make a weekend visit can also purchase a Two-Day Value Pass for $79.95 and get unlimited entry to everything Moody Gardens has to offer. Located in the main lobby of the hotel, Moody Brews offers a full line of Starbucks beverages, grab-and-go menu items, retail products, free WiFi, laptop work stations and comfortable seating. Take a tour of the 10-story glass pyramid that is home to more than 1,000 species of plants and animals. You will experience rainforest life from around the world and encounter free-roaming animals, like the cotton-top tamarins and saki monkeys. Travel back in time to discover a frigid world, covered in ice and occupied by mammoths, saber-toothed cats, cave people and more. The exhibit features life-sized animatronic animals and real fossils within the Discovery Pyramid. Enjoy the coolest new attraction to date when you visit ICE LAND: Ice Sculptures with SpongeBob SquarePants. Being the only holiday ice exhibition on the Gulf Coast, this is a vast and amazing display of 900 tons of towering SpongeBob SquarePants-themed ice creations. Send the little ones to a Kid’s Crew activity provided throughout the weekend by the Moody Gardens Hotel and relax at The Spa or play a round of golf at the Moody Gardens Golf Course. Be sure to stop by Santa’s Village in the Visitor’s Center lobby and get your picture with Santa Claus! Build your own Gingerbread House with the family inside the Visitor’s Center lobby. 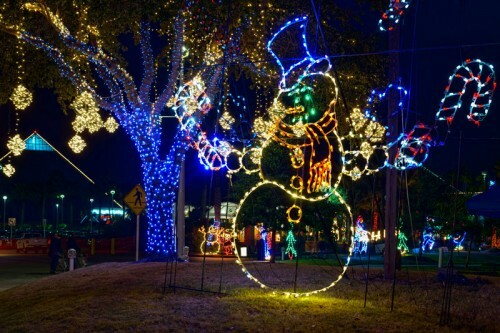 Enjoy the mile-long trail of over one million lights and 100 animated displays that winds through the beautiful Moody Gardens property. This is a holiday tradition you won’t want to miss! Grab some rental skates and enjoy the area’s only outdoor ice skating rink. Visit four distinct ocean environments in the largest Moody Gardens Pyramid that includes seals, sea lions, sharks, thousands of fish and more than 90 penguins. 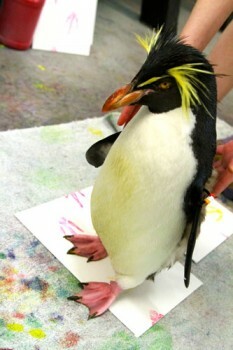 Get up close and personal with a penguin during this 45-minute program that takes guests behind the scenes. Take a cruise around Offatts Bayou on this 1800s-style paddlewheel boat. Engage your senses in this theater as you encounter a 20-minute adaptation of Rio 4D or Polar Express 4D. Take a slide down this Texas-sized ice slide located outside the Visitor’s Center. 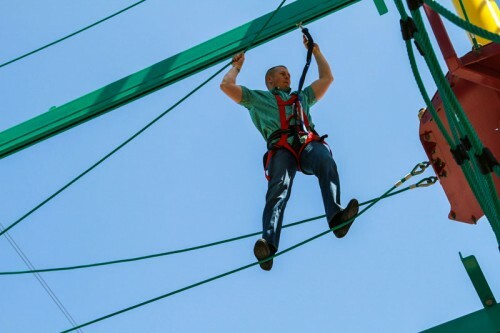 Challenge your agility, balance and strength as you encounter the new five-tier Ropes Course. Children 48 inches and under can also take on an adventure of a smaller scale on the Sky Tykes™ Ropes Course. Snap into the harness, step to the edge of the zip line platform and glide over Palm Beach and the Lazy River 60 feet in the air for a bird’s eye view of the Moody Gardens Pyramids and tropical gardens. Finish out the day watching some holiday favorites, such as Light Before Christmas 3D and Santa vs. Snowman 3D, in the newly enhanced MG 3D Theater featuring the world’s first giant screen 6p laser projector and the largest screen in Texas. 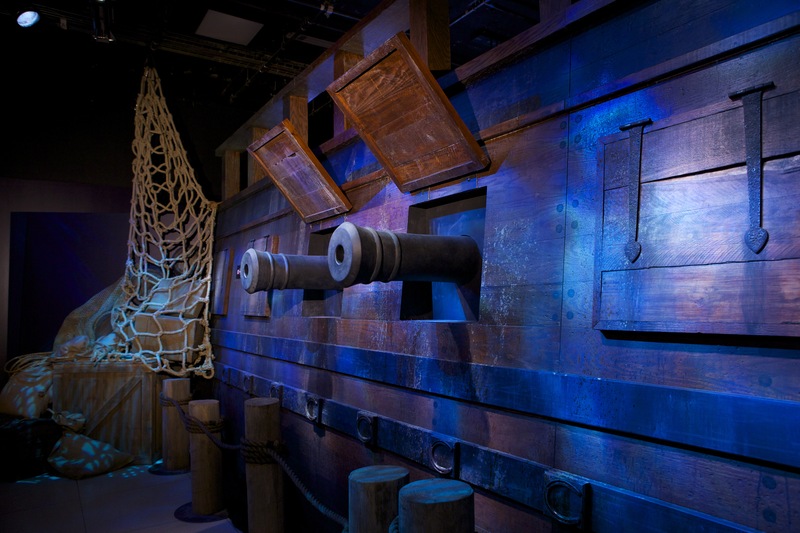 Since the REAL PIRATES Exhibition sailed into Moody Gardens, visitors have been awed by the collection of artifacts from the only authenticated pirate ship in the world. 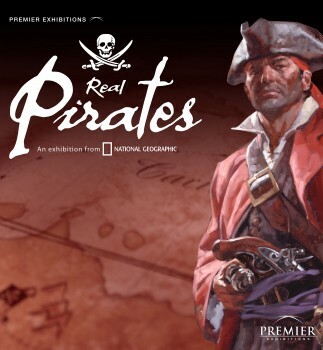 The touring exhibition, organized by National Geographic and Premier Exhibitions, Inc., brings the classical age of 18th century piracy to life by showcasing more than 200 artifacts recovered from the wreck site of the Whydah, which was discovered just off the coast of Cape Cod. The exhibition features artifacts like jewelry, weaponry and treasure chests full of gold and coins. The wreckage of the Whydah, which sat hidden at the bottom of the ocean for 267 years, has also told us a lot about pirates. Here are some pirate facts you may not know. Pirate ships were actually “floating democracies.” Captains were voted on and everyone aboard the vessel received equal shares of loot. When pirates plundered a ship, the treasure was usually the last thing they went for. Medicine and food was more of a priority for the pirates. Pirates were never actually made to walk the plank. If the crew no longer wanted someone on the ship, they simply threw him off. Pirates also didn’t bury treasure to come back and claim later. If you invested money in a treasure map, you probably got swindled. A pirate’s plundering career was normally over by the time he was 30 years old. Why? Scurvy usually claimed a pirate’s teeth, and he was no longer able to eat food on the ship. To find out even more facts about pirates and the Whydah, be sure to bring your booty down to Moody Gardens. 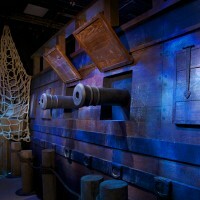 The REAL PIRATES Exhibition hits the high seas on Sept. 28, so navigate to the Discovery Pyramid today!